Aqua-Not process inks were developed for today’s waterless sheetfed printing technology that lacks the traditional dampening system and fountain solution. Waterless systems are traditional multicolor lithographic presses that utilize either water-cooled rollers or direct image presses using conventional or anilox inking systems for ink distribution. Aqua-Not inks have excellent trapping characteristics, low, balanced dot gain and set faster allowing for increased ink films, higher solid ink densities and increased gloss and color reproduction. Superior offers a complete line of products for waterless printing, including Pantone® mixing inks and metallics, gloss and matte overprint varnishes and fluorescent colors, all incorporating the same high-end performance of Superior’s Aqua-Not process inks. 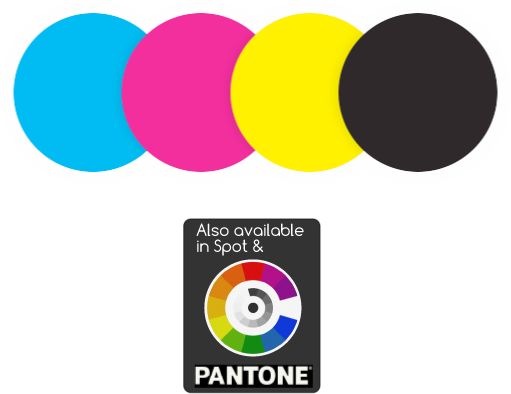 Usable over a wider range of temperature and press conditions, Aqua-Not inks can also be run on conventional presses with fountain solution.